Our knight in shining armor has arrived! 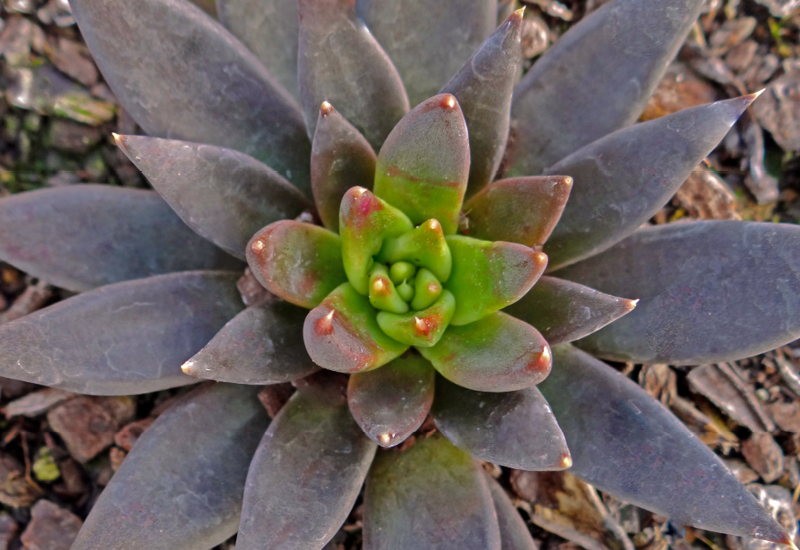 Echeveria Black Knight is dramatic and dark. It features deep purple-black curved and narrow leaves forming a striking rosette. The contrast would be amazing if you planted this in a white pot.